The animals feed on plants, probably also small insects. The larvae live more near the ground on herbs. 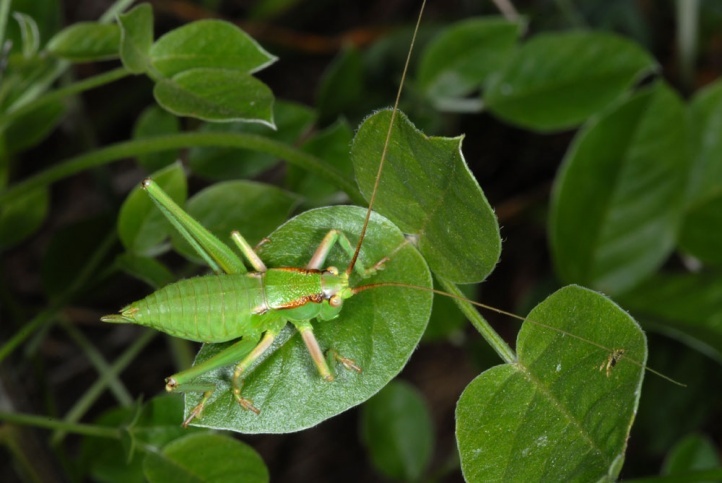 I observed them on Bituminaria bituminosa (Fabaceae). 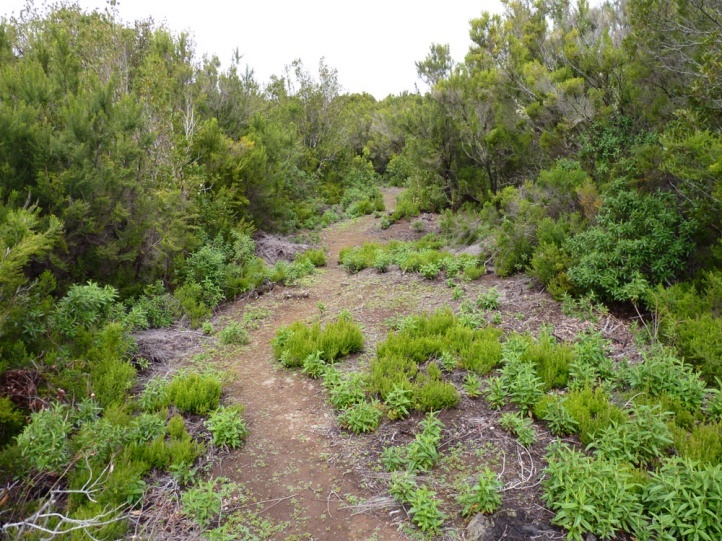 Calliphona gomerensis colonizes the regionof the laurel forest, in La Gomera (Canary Islands) from about 600m above sea level (mainly from 800m above sea level). 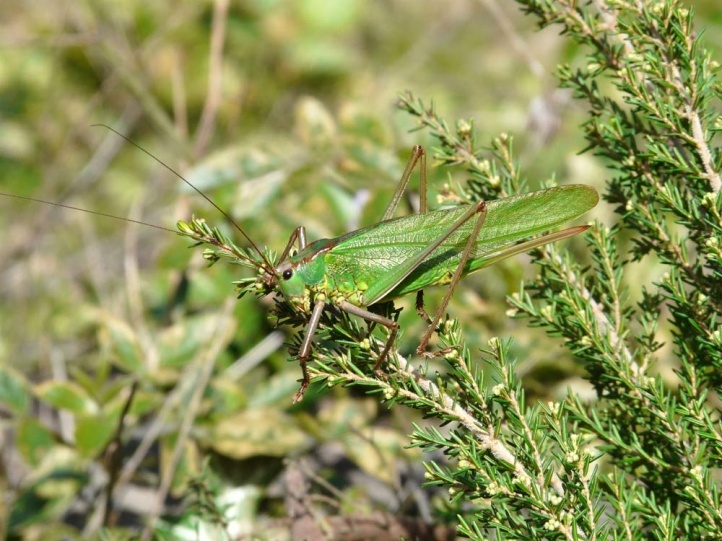 The adults are found especially in something lighter places with tree heath (Erica arborea) etc. Sometimes they are observed even in gardens. The larvae live closer to the ground, for example on Urtica or Bituminaria. I met the larvae also in lower elevations and on drier ground (e.g. 350m NN in Valle Hermosa, February 2013). At Christmas 2008 I met both larvae and adults. Presumably, the adults are seen year-round. 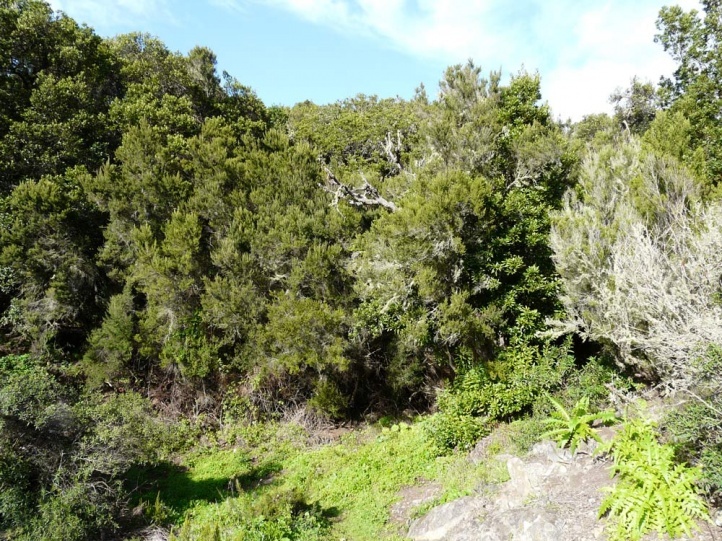 Calliphona gomerensis can survive only if the laurel forest (National Park) is protected from fire and human activities. 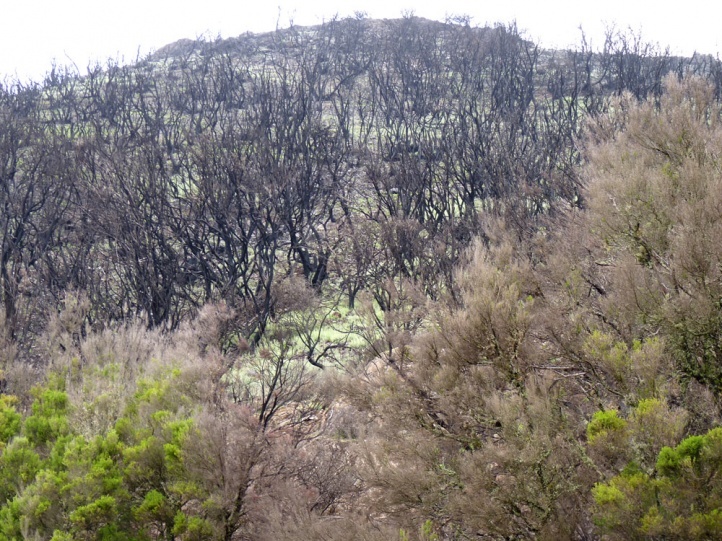 In summer 2012, unfortunately a significant part of the preferred Erica arborea/Myrica faya units on the southern edge of Garajonay National Park has been destroyed by fire. It remains to be seen in which extent global warming will impact the habitats of Calliphona gomerensis. 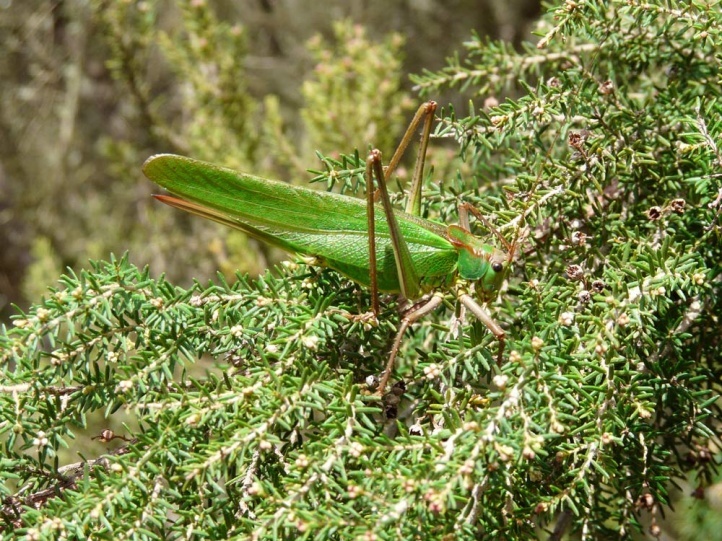 On sunny days, the males sit both within the forest as well as at bushy sites on the edge always in the highest branches of the trees and are stridulating loudly especially in the afternoon. The males can be hardly found due to their seats in the top region. The females climb around in the bushes, and are more likely to be observed even if they are quiet. 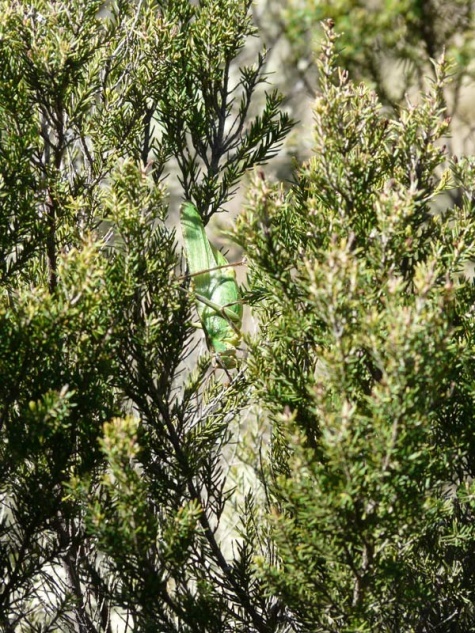 Calliphona gomerensis is apparently endemic to La Gomera. 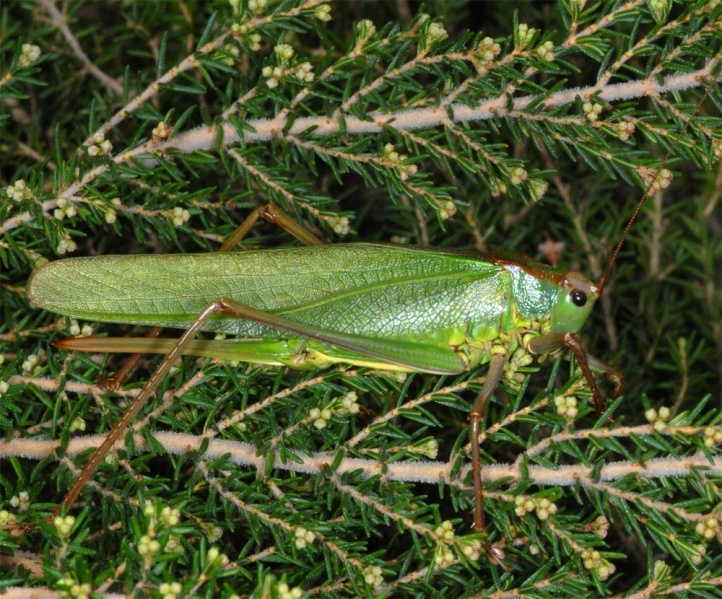 It differs from for example Calliphona palmae (La Palma) by their long wings that overlook the ovipositor slightly. 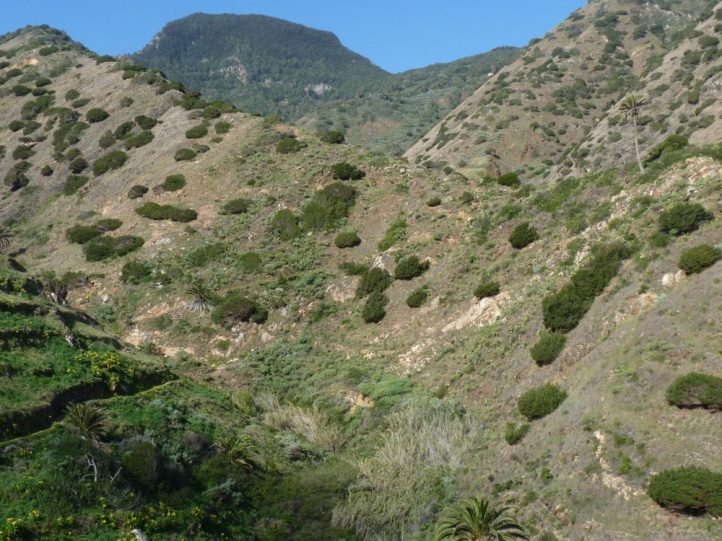 But Calliphona alluaudi (Gran Canaria) is similar. Both species have been separated just recently.